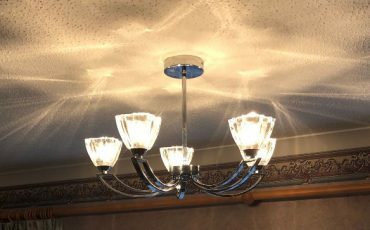 A spectacular feature ceiling lighting installation recently finished by the team at Leigh Electrical in Hockley, Essex. 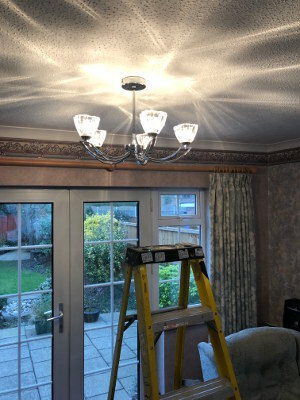 Having recently completed a similar installation for a friend of this customer and having been extremely impressed with the result, Leigh Electrical were contracted to attend the property and install the new feature lighting piece within the lounge/diner area of the property. 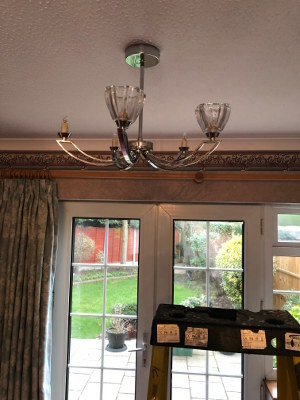 As is the case with all installations of this type, Leigh Electrical have taken the upmost care to ensure a flawless finish to the lighting installation. 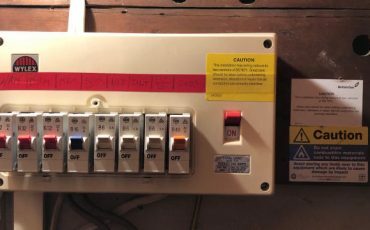 With over 50 years experience in performing installations of this kind, Leigh Electrical have the requisite skill and expertise to ensure the installation is completed within the agreed time scales and to a superb finish. To speak to the team and book a free no obligation quote for a time that suits you, please call us directly on 01702 873350. 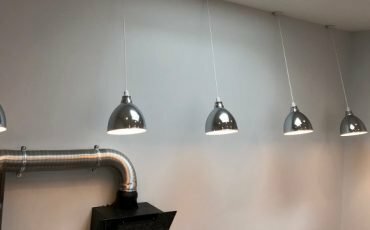 Why Use Leigh Electrical For Lighting Installation in Hockley? Leigh Electrical hold full NICEIC accreditation, this is widely held to be the highest standard of electrical trade association in the UK. The quality of the finish applied to our installations can be seen here on our recently completed projects page. This showcases a wide variety of works completed by Leigh Electrical in both Hockley, Southend-on-Sea and the wider Essex area. Much of our work is through recommendations and word of mouth referrals and we have hundreds of 5 star reviews on both Checkatrade and Trustatrader. Our NICEIC membership includes cover through the Platinum Promise, an unconditional guarantee offered on all of the work carried out by NICEIC members. We operate 7 days a week in the Hockley area including evenings for lighting installations and for a free no obligation quote, please call us directly on 01702 873350. Ceiling feature light install in Hockley, Essex. For more information or to obtain a free quote, please call us directly on 01702 873350.